Like many of us, you have made resolutions for 2016 and leading a healthier life is on the top of your list. So, what about nurturing that same idea in the minds of your children? It seems educating adults about the benefits of organic eating and living more healthy is one thing; exposing children to that same information and motivating them is quite another. Fortunately, kids are sponges for new experiences and convincing arguments. Including your children in activities and discussions about the foods you eat and the reasons behind the earth-friendly choices your family makes may be easier than you think. Here are a few simple ways to engage kids at home and pique their interest in all-things-healthy in the New Year. Encourage child participation in meal preparation – Children as young as three years old can be big helpers around mealtime. With a rounded or plastic knife, kids can be shown how to slice fruits and vegetables such as watermelon or banana, or can be put in charge of shucking corn or snapping asparagus stalks. Odds are, if they help prepare it, kids may be more apt to eat and enjoy it. Logan, age 10, carefully slices vegetables for a salad. Plant a seed, grow a garden – Even if your available gardening space is limited to a kitchen window sill, that is still plenty of room to start an indoor garden and watch the seeds of plant life take root. Planting anything from parsley to sunflower seeds in small pots or containers will do the job – within weeks, they will begin to sprout and demonstrate the power of good soil, consistent watering, sunlight and patience. If you have space in your yard to plant a larger vegetable or flower garden, then there is additional opportunity to teach children about safe pesticides, weed control and the benefits of nutrient-rich composting. Or consider volunteering for The Bounty Garden, a community-service garden in Hap Magee Ranch Park. The Bounty Garden donates organic vegetables to local food pantries that are grown by volunteers. No experience necessary. If interested send an email to thebountygarden@gmail.com. Get moving and grooving – On rain-free Danville days, it is time to leave the car at home and roll the bikes out of the garage. Not only is bike riding a great family activity, the exercise will make drinking water and eating juicy, refreshing fruit even more satisfying. If you see yourself embracing bike riding on a regular basis, invest in some sturdy bicycle baskets to attach to your child’s handlebars so they can help transport groceries or goodies home from your next outing. Georgia, age 13, loves riding her bike to some of her favorite spots in The Livery and downtown. Support your local Farmers’ Market – Farmers’ Markets are a treasure trove of locally grown, organic produce, plants, flowers, jam, nuts, honey, fish and meat. They also serve as a fantastic outdoor venue for people watching, connecting with neighbors and enjoying local entertainment. Yet, one of the most valuable features of patronizing your local farmers’ market is exposing your kids to the growers of the food and items being sold. Saunter up to an apple vendor and ask why their apples are superior to the ones you can buy in the store. Undoubtedly, the vendor will eagerly share his/her reasoning, along with a tasty sample to reinforce the point. In that instant, your kids will have just witnessed learning outside of the classroom in its purest form. As you can see, taking steps towards a more organic, health-infused lifestyle doesn’t have to be monumental to move mountains for children. Some very simple things—buying and discussing the benefits of organic foods, getting kids’ hands dirty in the kitchen and garden, promoting the thrill of exercise over a car’s carbon footprint, and supporting local farmers and their products—will leave a positive imprint on the minds and choices of our children, and hopefully for a lifetime to come. It’s easy to get caught up in the hustle and bustle of the holidays and be overwhelmed with decorating, shopping for the perfect gift, and planning festive dinners and activities. However, having an environmentally friendly holiday season doesn’t have to be hard. Even a few small changes can have a big impact. Artificial trees provide enjoyment year after year, but the plastic components are toxic to produce. Consider a live tree that you cut down at a local, organic tree farm. It saves on shipping, pollution, chemical fertilizers, and pesticides. Potted trees are also a good alternative. They can live outside throughout the year, be brought inside at Christmas time to decorate, and then donated to a school for planting. Whether you’re driving through a neighborhood or shopping at a mall, festive holidays lights are everywhere. With the high cost of electricity, LED lights can save up to 90% on your electric bill, the LEDs don’t have bulbs and filaments that break, don’t get hot, and they last a long time. Put the lights on only at night and use a timer to save even more money. Do you still send out holiday cards each year? There are eco-friendly alternatives such as emailing cards, sending postcards (no envelopes), or using smaller cards. Choose pastel colors if possible. Bright red and green paper is hard to recycle. After the holidays, recycle cards by sending them to St Jude’s Ranch for Children. Call 877-977-7572 for details because they do not accept all cards. When it’s time to shop for gifts, look for ones with minimal packaging or recyclable materials such as cardboard. If the gift requires batteries, buy rechargeable ones. For information about recycling batteries and other hazardous waste, contact the Contra Costa County Household Hazardous Waste Program at 800-750-4096. Did you know that Americans produce an additional 25% trash between Thanksgiving and New Year’s Eve? We’re sending an extra five million tons of garbage to the landfills. There are many earth-friendly alternatives to the plastic toys and gadgets that end up in the trash. A memorable experience can be a lasting treasure: a zoo membership, a cooking class, a massage, dance lessons, performance tickets, or a museum pass. Homemade gifts for Hanukkah, Kwanzaa, or Christmas are especially thoughtful: baked cookies, a story or poem written for the recipient, a knitted scarf, a booklet with your favorite recipes, or a photograph of your family. What do you give to someone who has “everything?” A socially conscious gift can have a lasting, positive impact. Donating a dairy goat through Heifer International (www.heifer.org) provides milk, cheese, yogurt and butter for a needy family. Help prevent disease in impoverished countries by donating to Project Concern (www.ProjectConcern.org). A loan to Kiva (www.kiva.org) can alleviate poverty by enabling entrepreneurs in poor countries to start a small business. There are many local options too, including honoring the gift recipient with a donation to the Discovery Counseling Center of the San Ramon Valley (http://www.discoveryctr.net) or the Food Bank of Contra Costa and Solano Counties. When it’s time to wrap a gift, choose paper that doesn’t have metal foil or fibers that are not recyclable. Sunday comics, kids’ art, magazine pages, old maps, and fabric remnants make interesting conversation pieces. So do boxes you decorate to reuse next year. Most practical are holiday towels or scarves that serve double duty as a wrapping and a gift. When adding a gift tag, make one out of a recycled holiday card. Everyone enjoys a delicious holiday meal, but are you guilty of making too much food? Try to be earth friendly and buy local, organic, and fair trade foods, and only what your family will consume. With a variety of composting options available, food scraps don’t need to visit the landfill. 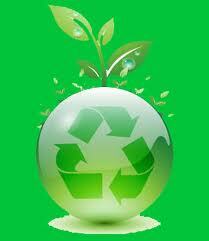 Recycle beverage containers such as plastic jugs, paper milk cartons, soda cans, and wine bottles. Wrap leftovers in recyclable aluminum foil rather than plastic wrap. I can’t believe it was just five years ago, I was searching for local recommendations for sustainable living for my family. It was then talking with friends Darlene Gayler and Tracy Bauer that we were inspired to start Sustainable Danville Area (www.sustainabledanville.com) to encourage sustainable practices by facilitating eco-educational programs in the Danville Area. We have expanded–and contracted–with treasured volunteers and brilliant interns joining us along the way. Most importantly, we have made cherished life-long friends like Cindy Egan, San Ramon Valley High School’s Environmental Science Teacher. We are not the ‘Green Police’; instead we’re a local group interested in exploring and learning how to live and work sustainably in our community. We balance what matters most to us (our families) with our responsibility to care for the future of this beautiful place that we call home. We definitely don’t have all the answers, but along the way we have found great resources, made wonderful connections and learned from our mistakes – hopefully making it easier for our neighbors who want to jump aboard. We are fulfilled by the community of people (students, teachers, parents, business owners, civic leaders and you) that have demonstrated their interest in supporting our efforts by making Every Choice Count! We are buoyed by the growth of consciousness that has sprung up amongst us – people who understand the importance of freeing their bodies, their homes and their yards from chemicals and pesticides. While I wouldn’t call our ‘job’ done – since I always prefer a friend’s recommendation over something on the Internet – we are excited that there is a wealth of reliable information for those that are curious about learning more. We are grateful for civic leaders that have voted to ban single-use plastic bags in our community, offer residents the ability to recycle all their kitchen food scraps in their curbside waste bins, added bicycle parking facilities in popular downtown locations, installed a centralized climate controlled irrigation system and even rely on solar panels to fuel the work they do every day to protect our community for the future. Most importantly, we are happy to call ourselves residents of Alamo, Danville, Diablo and Blackhawk. Every time we receive an email (sustainabledanville@gmail.com) or comment on Facebook (www.facebook.com/sustainabledanvillearea) sharing a green practice that you or your family has adopted it fills our hearts with hope. This April, we celebrate our fifth ‘birthday’ and Earth Day 2015. 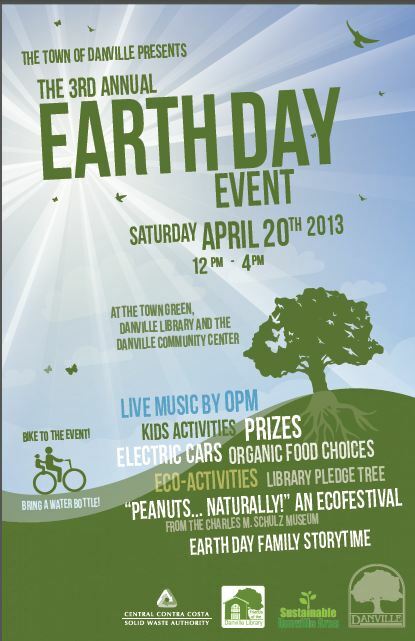 The Town of Danville, The Danville Library and Sustainable Danville Area will present the 5th Annual Earth Day Event on Sunday, April 19th 11am – 2pm on the Town Green in front of the Danville Library. Rain will be an additional blessing as we have activities planned for the library and community center as well. The Town of Danville Earth Day event is a free, fun and informative affair for residents and visitors of all ages interested in green building, sustainable landscape design, solar power and home energy efficient products, waste reduction and recycling, water conservation, hybrid and electrical vehicles and much more! Fun for everyone in the family has been scheduled at this zero-waste event which includes live music featuring Rio James, American Idol Tyler Stimpson and Zakir Siddiqui. Kids activities include a petting zoo, ‘Peanuts…Naturally! 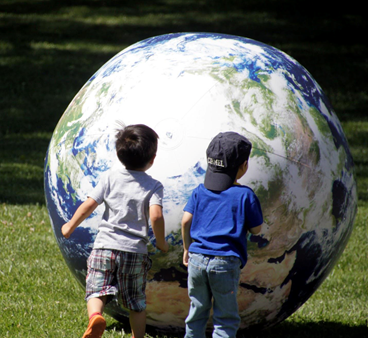 An Ecofestival’, a giant Earth ball and much, much more. San Ramon Valley High School Environmental Club (E2) will be manning the bike valet to make it easy for you and your family to ride your bicycles to the event. Yes, this works just like a coat check. You check in your bikes for free, enjoy the event and pick up your bikes by 2pm. We can always use environmentally enthusiastic volunteers 16 years and up for the Earth Day event. Please visit www.danville.ca.gov/volunteer if you haven’t volunteered with the Town before. For more information email jmason@danville.ca.gov or call 925-314-3478. It will not be a party without you, so mark your calendars for April 19th and please come celebrate with us. The kids have been back in school for over a month and are settling down to a routine. But does the routine include an environmentally friendly option for getting to and from school? Forty years ago, over 50% of kids in the US rode their bikes to school. In 2004, only 3% of kids rode their bikes to school. Biking and walking has been replaced by parents zipping their kids to and from school and to other activities by car. This may seem safe and hassle-free for the kids, but its prevents kids from getting needed exercise, adds considerably to traffic congestion (think Danville Blvd. / Hartz Avenue at 8:00 am Monday through Friday), sends a cocktail of pollutants into the air that we all breath, and emits greenhouse gases into the atmosphere. Considering all of these factors, the “true cost” of driving our kids everywhere is more expensive than we might think. Fortunately, there are many environmentally friendly options for getting your kids to school and many compelling benefits for those that try them. Bike or Walk – Walking and biking are great alternatives for students that live a few miles from their school. These activities can promote responsible behavior, awareness of the outdoor environment and help students stay physically fit. Alamo and Danville has a number of bike trails and routes, which are located near our schools. Investigate possible biking or walking routes. If you live far away from the school, but want your child to start to experience walking/riding, find a safe place to drop them off and pick them up as far away from school as is appropriate for their ability. Take a Public Bus – Riding the public bus can be a wonderful experience for a child. Safe and reliable, there are public CCCTA buses in town that stop at or near many of our schools. The CCCTA school bus routes can be seen at: http://countyconnection.com/maps-schedules/#school bus fares for CCCTA are $20.00 for a 12-ride pass and $60.00 for a monthly pass. One great source for free bus tickets is 511 Contra Costa www.511contracosta.org. They will give 2 – $20 bus tickets to a handful of kids who apply in the beginning of the year in exchange for filling out a survey at the end of the year. Other Tips – If you do drive (hopefully in a carpool) please remember to turn off your car while waiting. An idling engine operates far below its peak temperature, creating fuel residue in the engine, and generating air pollution right where kids are congregating. Another suggestion is to try to combine a trip to school with errands that you need to run. This will save time, reduce your total driving, and reduce the number of times you need to start a “cold car.” Starting a car after it has been sitting for more than an hour creates up to five times more pollution than when the engine is warm. Preserving Quality Time – Many parents consider one-on-one time with their kids in the car to be a special time to visit. But there may be alternatives that are just as special or even better. You may consider talking with your child about alternatives which could preserve this specialness, knowing that such a change might enhance your child’s development while at the same time improving the future health of your child’s natural environment. Have other ideas to ditch the car for your ride to school? 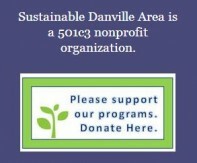 Send them to Sustainabledanville@gmail.com , twitter @greendanville or http://www.facebook.com/sustainabledanvillearea.